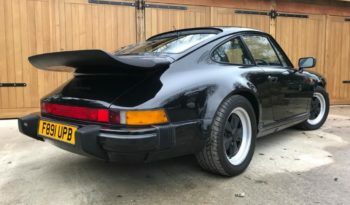 1988(F) Porsche 911 Carrera Sport Coupe G50 | Deranged Vehicles. 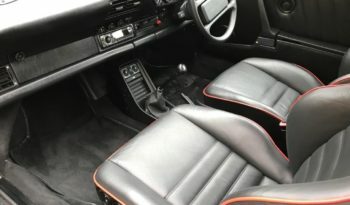 12 months MOT, Full dealership history, Excellent bodywork, Interior – Excellent Condition, Tyre condition Excellent, Sports seats, Remote central locking, Power steering, Immobiliser, Electric windows, Central locking, Alloy wheels, 3×3 point rear seat belts, CD Player, Leather seats, Radio, Sunroof, Lumbar support, Height adjustable drivers seat, Alarm. 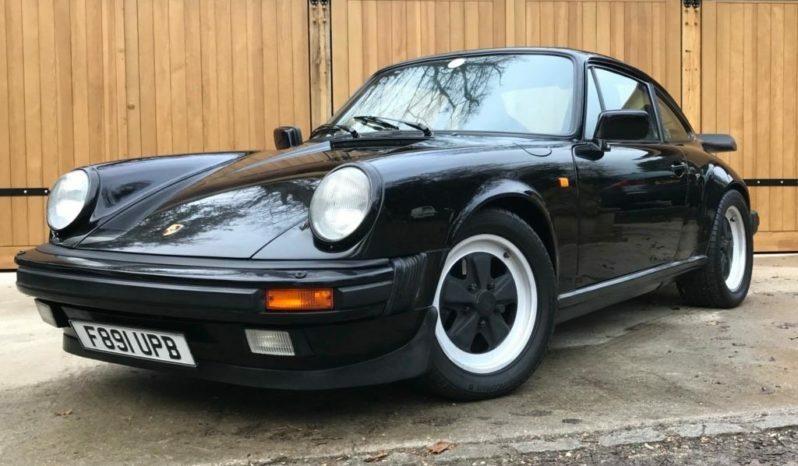 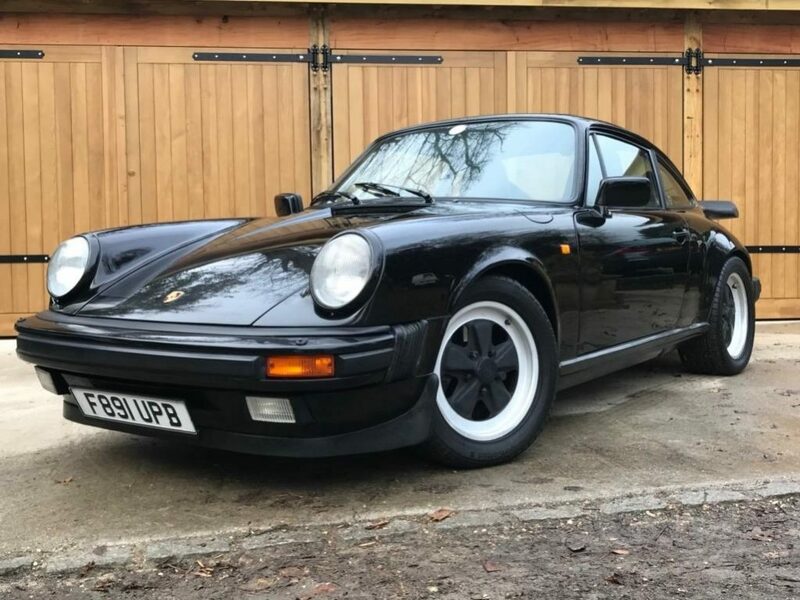 Black, This lovely, right-hand drive, 1988 Carrera is finished in a most desirable colour combination, gleaming Black complemented by a full Black Leather interior with red piping, and is a factory ‘Sport’ model with Fuchs alloy wheels, sport seats, rear seat belts, rear wiper, spoilers, Bilstein sports shock-absorbers, sunroof, and a carpeted luggage compartment.We understand that approximately ten years ago the car was stripped to bare metal and painted in its original black colour scheme, however. 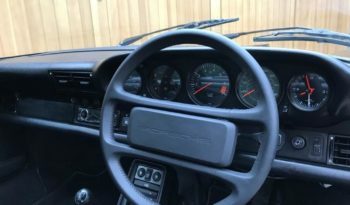 it remains in largely original condition with the only changes being the addition of wheel-spacers and a non-original radio. 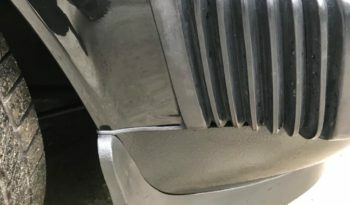 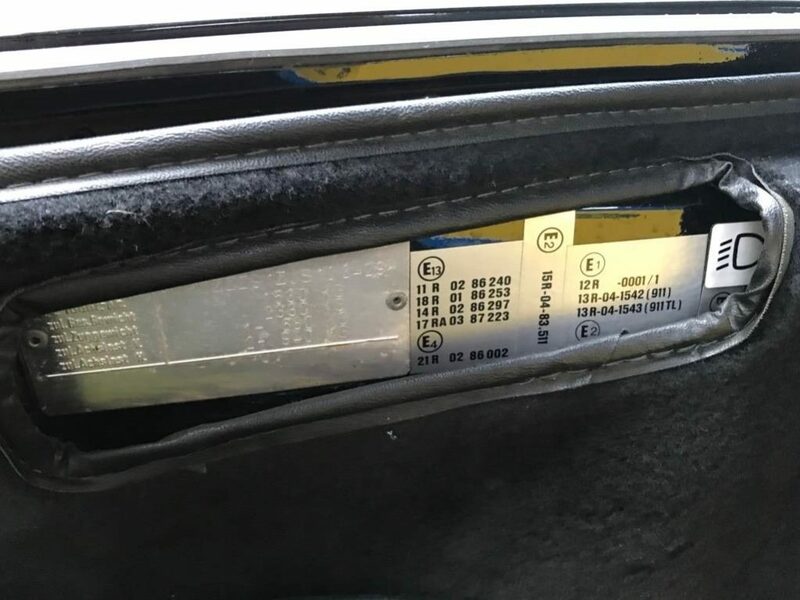 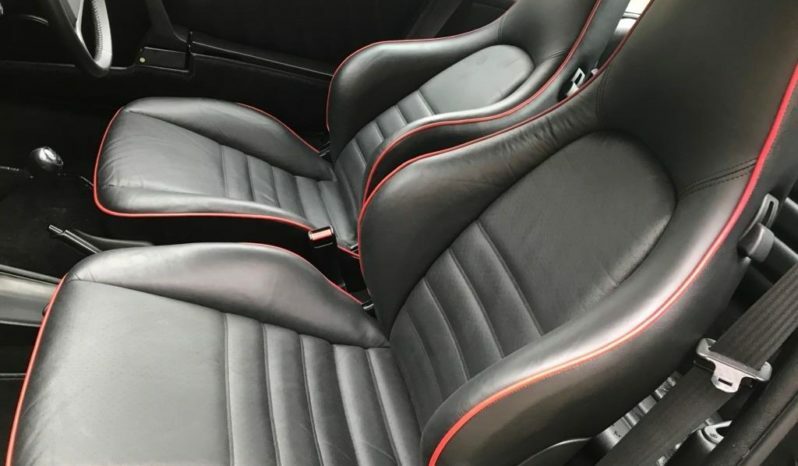 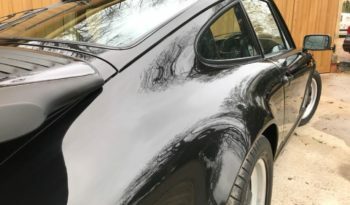 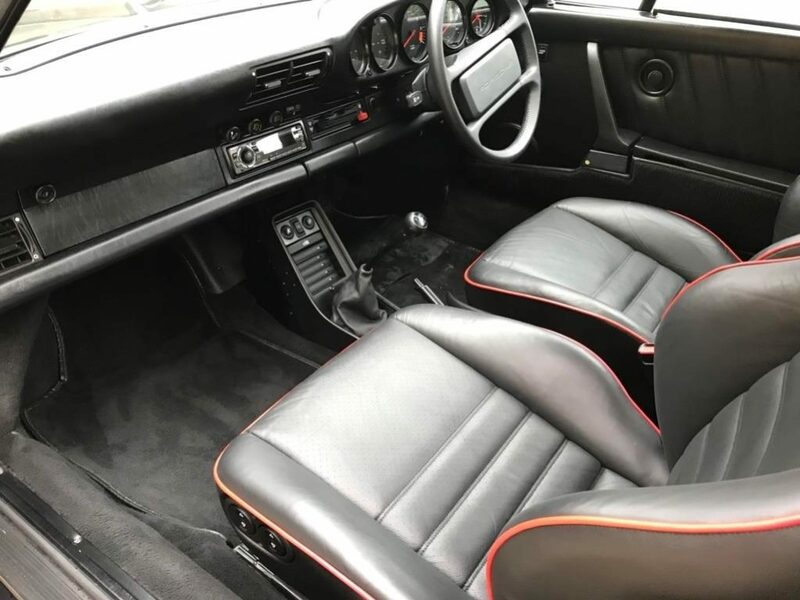 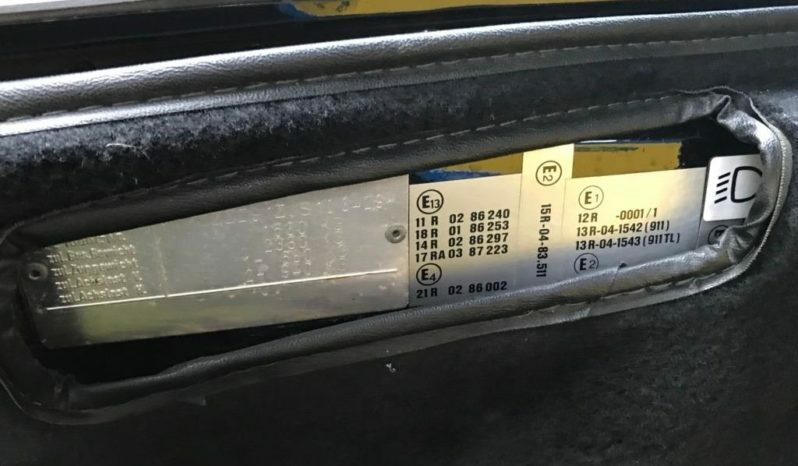 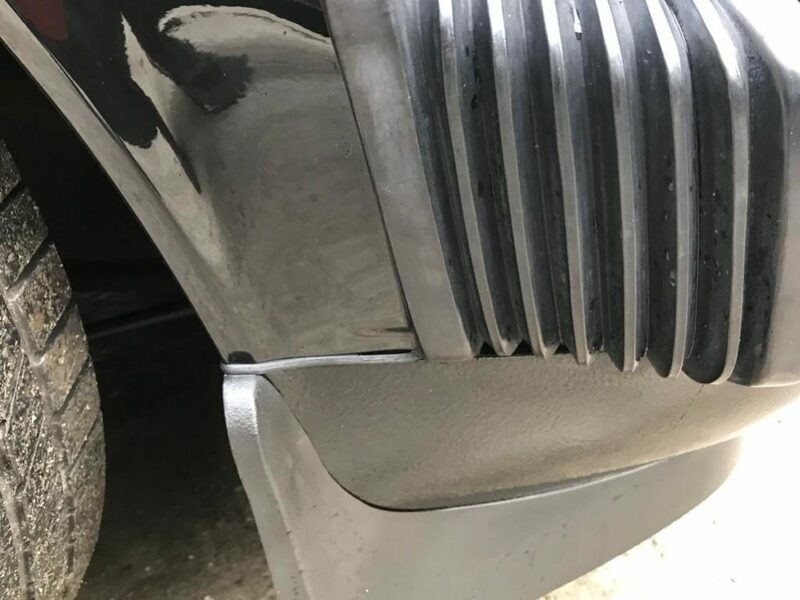 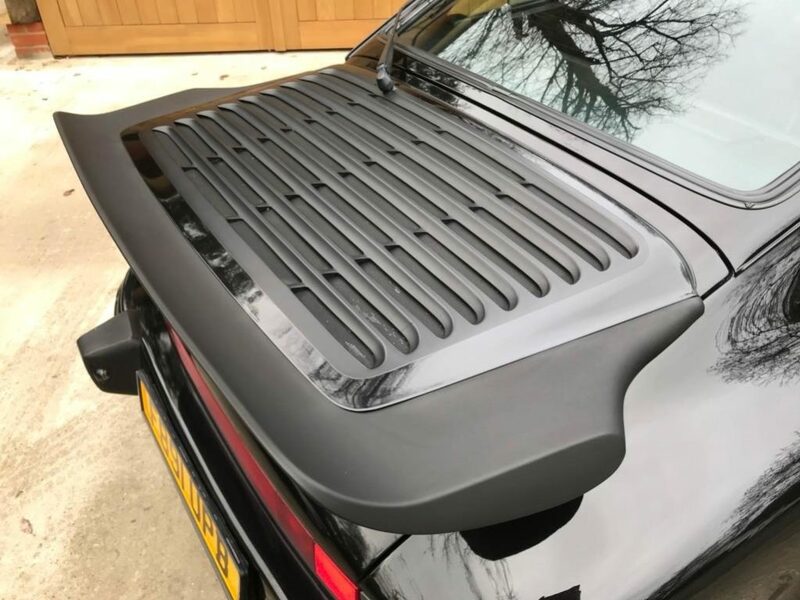 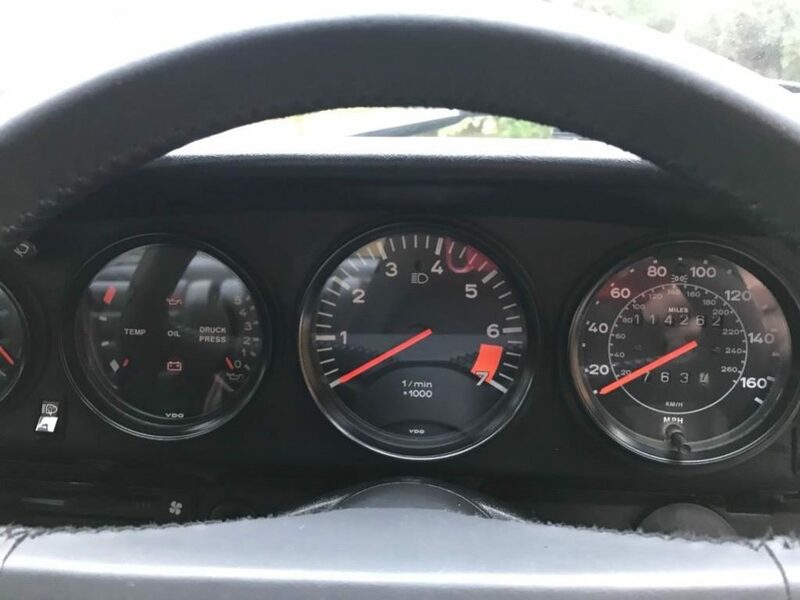 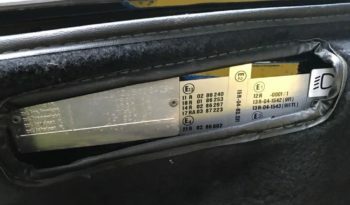 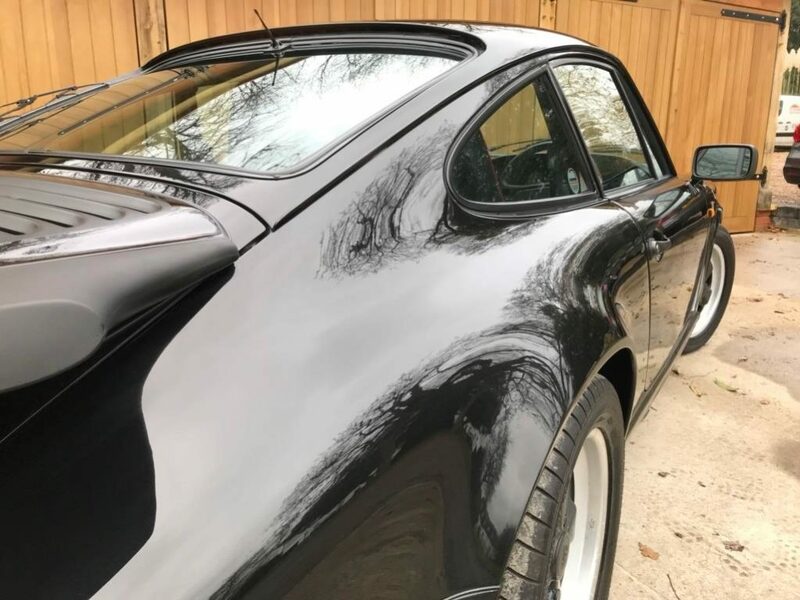 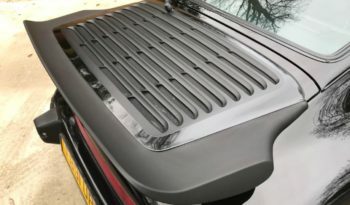 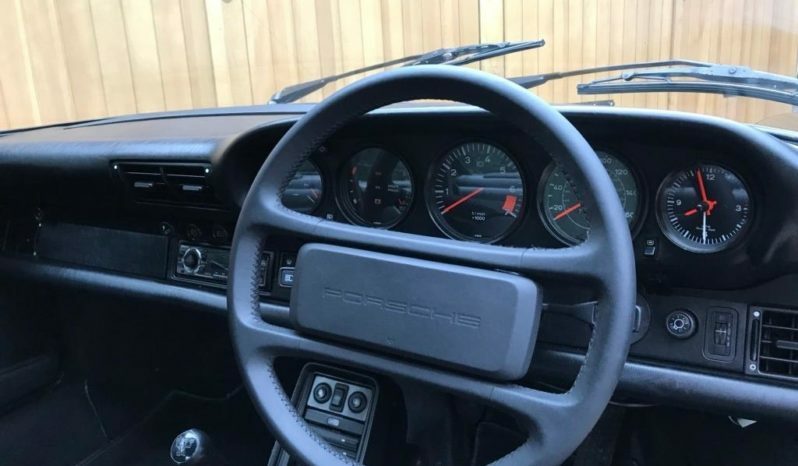 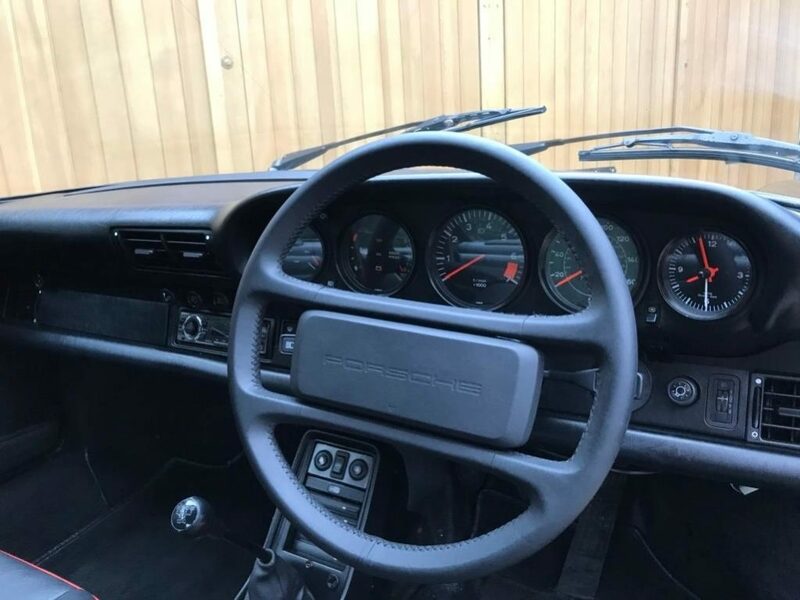 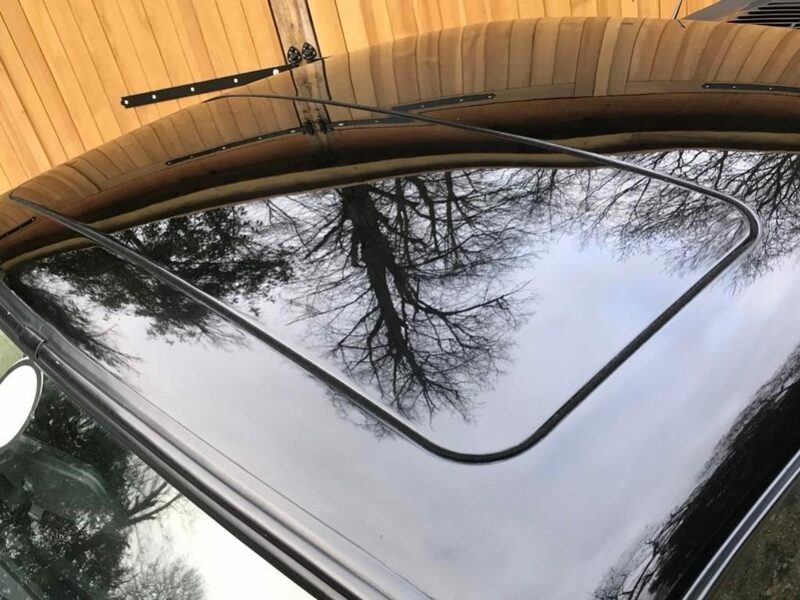 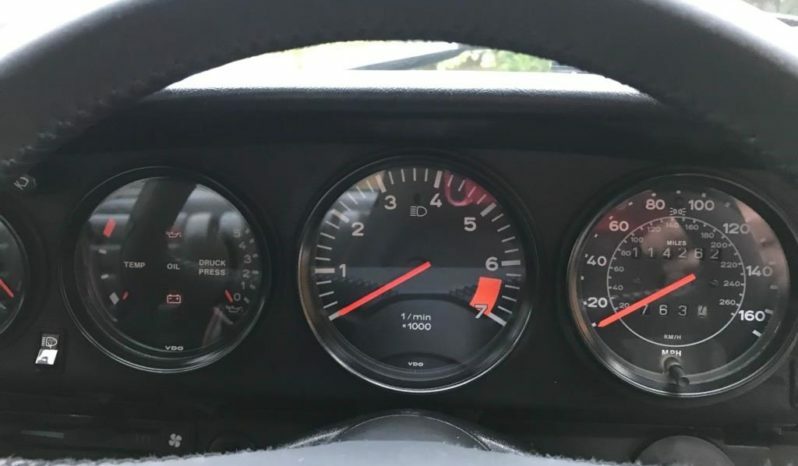 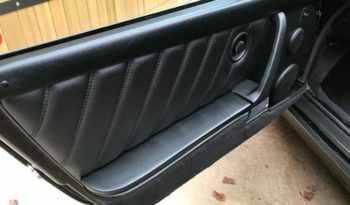 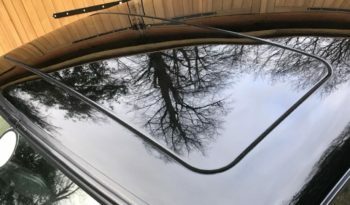 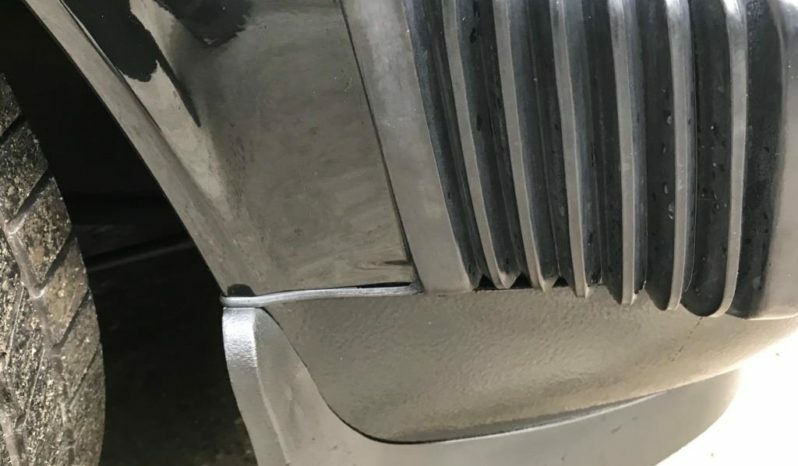 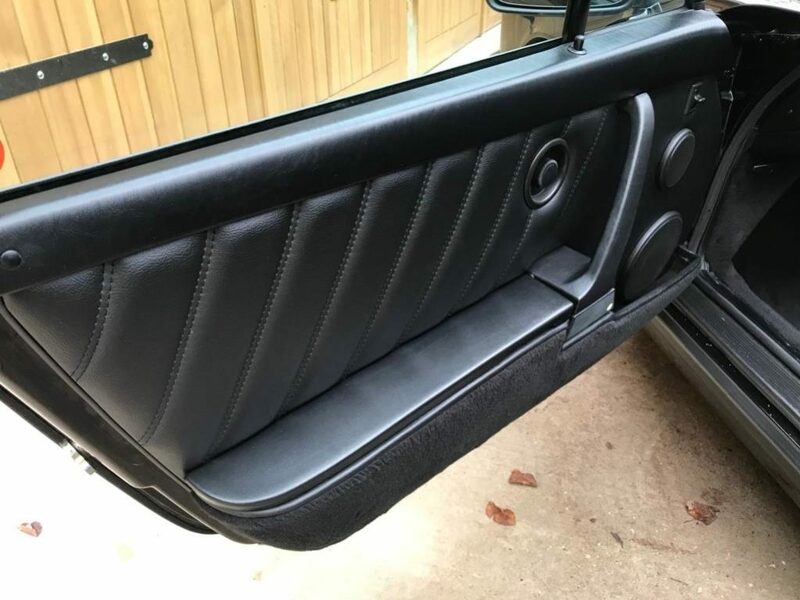 The accompanying MOT Certificates, service booklet stamps, and a large folder of bills detailing expenditures from both Porsche main dealers and specialist companies substantiate the indicated mileage of just over 114,000 from new. 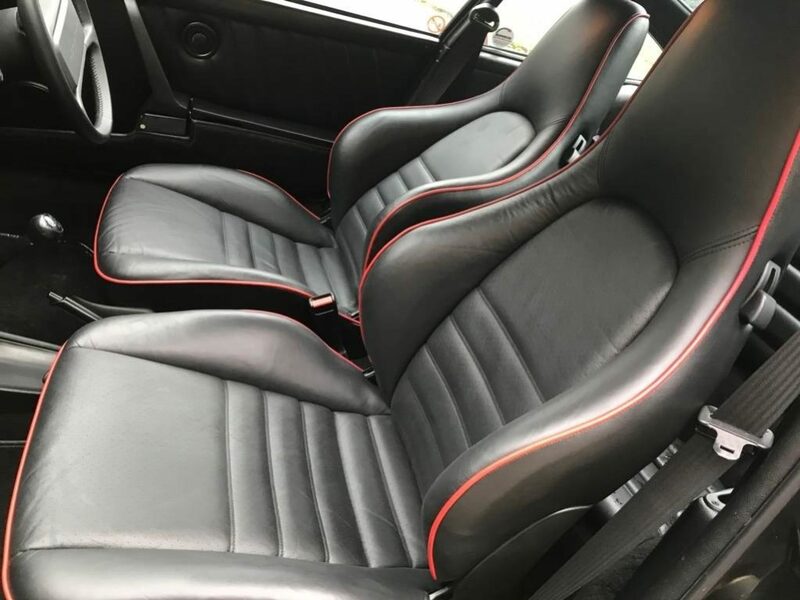 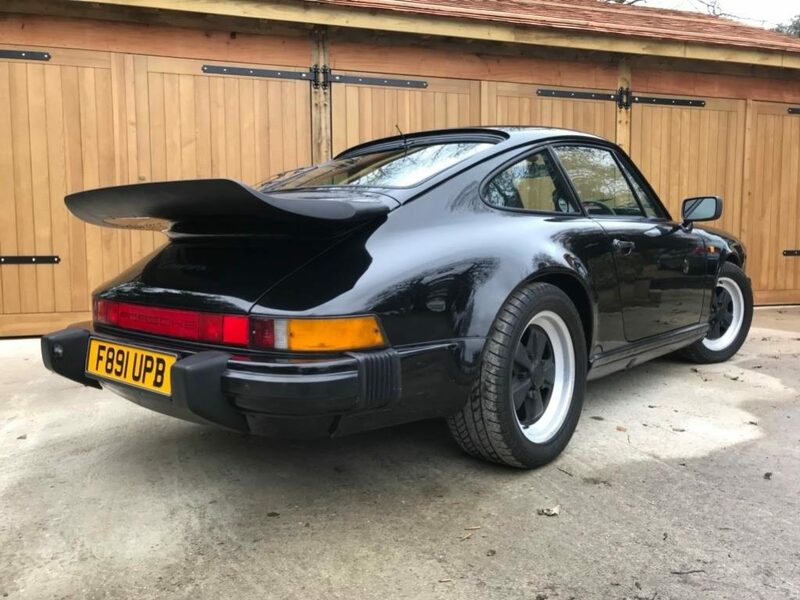 It has been well-maintained, is in good condition both mechanically and cosmetically, and has never required any major work due to its regular servicing, ‘relatively’ low mileage and garage storage.